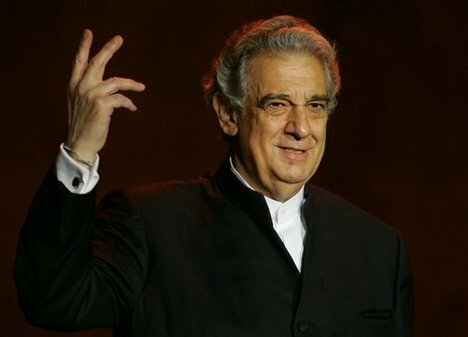 With 144 roles and nearly 3,700 performances under his belt in repertoire ranging from Mozart to Berlioz to Wagner to Ginastera, there’s little that 73-year-old Spanish tenor Plácido Domingo can’t do–and hasn’t done already in his illustrious 57-year professional singing career. Add one more thing to that long list. Domingo announced this week he will sing his first countertenor role this fall in his hometown of Madrid, at the Teatro Real. The special gala performance features two one-act operas: Handel’s Acis and Galatea and Purcell’s Dido and Aeneas, with Domingo in the pit conducting the former and singing the role of the Sorcerer in the latter. Domingo, who has been singing baritone roles almost exclusively in recent years, said he wasn’t surprised his voice is still evolving. It’s not uncommon for baritones to make the switch to countertenor. Just ask David Daniels and Andreas Scholl–two of the top countertenors today who both started their careers as baritones. But usually the upward migration of the voice happens early in a singer’s career. Domingo, whose motto is “If I rest, I rust,” says he’s embracing his new-found range, but he cautions audiences not to get too excited about his renaissance as a countertenor. In other words, if you were hoping for The Three Countertenors, don’t count on it. I am not aware that Scholl started his career as a baritone. His soprano voice just never broke! good on him! when he’s had such a long and successful career he could virtually do anything, even sing The Queen of the Night if he thinks he can 😉 but The Three Countertenors would fun! My picks would be Tim Mead, Christophe Dumaux and Iestyn Davies. The (three) Countertenors -Andreas-Scholl-Dominique Visse and Pascal Bertin already made a cd many many years ago called: Les contre-ténors.